Kristina Chase Strom has worked in the fields of the verbal and visual arts for thirty years, as well as being a metaphysical teacher and consultant. Though she was formally educated at Wells College, the University of Cincinnati, Edgecliff College, and the University of Science and Philosophy, she considers life itself to be the ultimate classroom. While she has lived as far south as New Orleans and as far north as Aiyansh, British Columbia, Canada, the mother of four daughters now divides her time between a small village north of Cincinnati and her land in southeastern Ohio with her companion Michael. Her life is dedicated to loving others and learning. 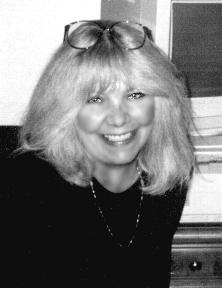 Kristina's biographical profile is included in the 57th and 58th Editions of Who's Who in America®, 2003, 2004.